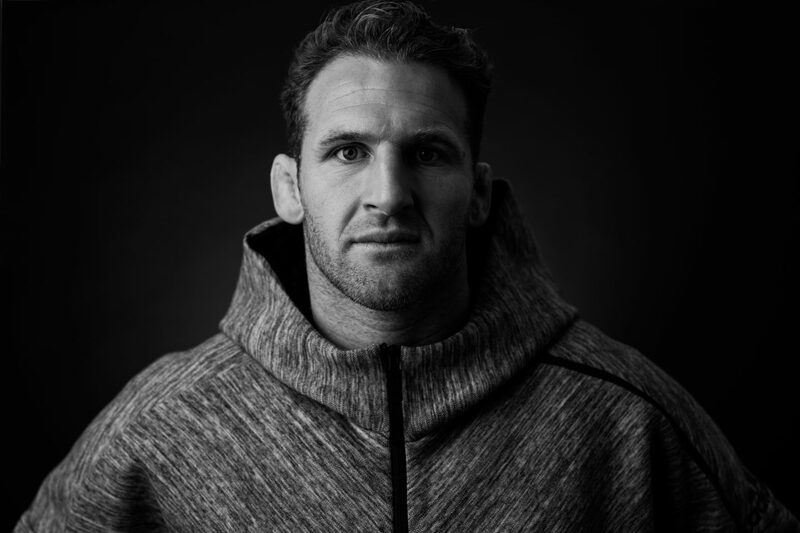 Kieran Read discusses stepping into the biggest job in rugby and developing his own authentic leadership style. How do you take over a role most of your compatriots consider more important than your Prime Minister? 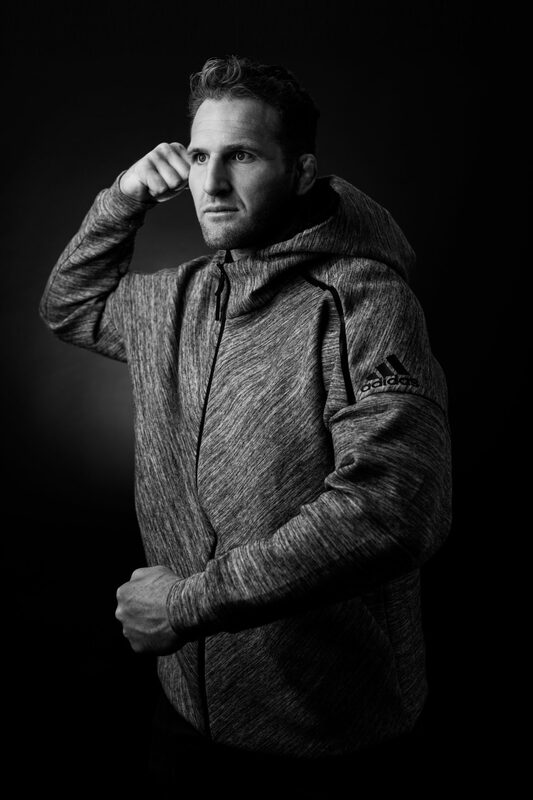 Just by being yourself is Kieran Read’s approach. And so far it’s working just fine as he seamlessly settled into his leadership duties as captain of the All Blacks and quickly created a support network to keep the rugby world champions at the top of their game. Despite his huge frame he carries an air of calmness and genuineness and it’s these characteristics he instills in his team through quiet one-on-ones. A defeat in the autumn tests to Ireland left a slight blemish on his record at the helm, but he’s already found the positives from that encounter, as further northern hemisphere challenges await his men later in 2017. This is Kieran Read’s Game Plan. Kieran, how have you approached the last twelve months? It’s been an exciting challenge. The captaincy is a role that as a young person you don’t really aspire to, but as I got older I really began looking forward to the challenge of it. It’s a massive role in New Zealand. For me, I wanted to really stamp my own mark and be my own man when I came into the role. You’re right; it is a massive role that probably excites more people than the office of Prime Minister in New Zealand? A few people around the country would probably say that but, no, I don’t think so. Yes, it’s a huge honour. I’ll look back on it and say I’ve led my country and that is going to be something I’m extremely proud of. I know my parents, my family are really proud of that achievement. But for me, as a player, you just want to do the best that you can for the team. I’m privileged to be the guy who leads the team and runs out in front of the group of men we have. It is pretty awesome. I’ve been asked about this; it’s a hard question for me to try and answer. I feel like I’m not one to really shout and scream at guys. I prefer a leadership style of working one-on-one and having many conversations with the guys, and finding a way of connecting with every person in the team. That’s how I like to work. I certainly like to make sure we’ve got the guys empowered as well; we’ve got a leadership group of nine in our team. I make sure that they’re taking the load off me; I really want them to be the ones who drive the team, and I can oversee it. Where do you have the one-on-one conversations? Sometimes it’s just a quiet word when you’re walking past them at breakfast or something like that, or it might be just a quick word after training over a coffee. The more you can connect on a personal level, the more trust is built within the group. I think that’s very beneficial. When it comes to game time how do you get your players pumped up? It’s actually not really about pumping them up; it’s making sure that we’re as calm as possible. Test Match rugby leads to nerves, excitement, a lot of big emotions. We’ve found that the calmer we can be, the more on-task we are. Where our attention is, that’s where we’re going to be at our best. It’s more about being clinical and maybe reaffirming the key things that we worked on that week – that we’d spoken about during the week’s prep. You suffered your first defeat as captain against Ireland at the end of 2016. What lessons have you taken from that experience? Quite a few; and not just from that defeat, I think we took a lot of lessons from our weeks in the northern hemisphere. We played a slightly different style of footy to what we perhaps got throughout the rest of the year back home. I think that style of rugby, how we can adapt our game against that, is going to be something that we really have to learn. We knew we’re going to lose at some point. It’s one of those things that’s going to happen. I think the thing that made it hard was perhaps we didn’t play as well as we could as a team. That’s when you feel even more hurt. I think it’s going to be a valuable lesson for us as a team moving forward where we have some pretty big games coming up with the Lions; a team who will play very similar to what the Irish did. What advice would you give someone moving into a leadership role? Do some work in advance; for me, it certainly helped. Also, just really back yourself and how you want to lead. You can’t try and be someone else or try to lead like perhaps you’ve seen others do. Be genuine; that’s what the people who are around you will respect the most. Finally, with a gesture show us how you lead the haka? Mental skills coach Gilbert Enoka talks about putting mind over muscle. Excellent advice , preparation is key to performance! Very simple, down to earth approach. You'll see many captains and coaches getting worked up before games. Refreshing to hear that Kieran tries to keep everyone as calm as possible and to focus on what they've worked on during the week. I completely agree with you. I just read the interview with Kris Bryant who also leads by putting the team first! As I've been a football team captain myself, I can totally relate to it. But I also think that showing emotion can unleash the full potential of a team. Do you remember the World Cup Final in 2014 (Germany vs. Argentina), when Bastian Schweinsteiger was totally exhausted but fought through the pain for his team? Leading by example can really make a difference on and off the field.